I\'ve seen a car recently with the Toyo Proxes T1-R (225/50 R15 91V) and they look good. \nThe tread pattern even looks like the Dunlop SP9000. \r\nToyo R888 do the correct size 215/50/15 88w all be it a track tyre but are road legal and are fine for driving on roads but not on a regular basis.They do stipulate that they are not suitable for winter/cold conditions but how many of us use our cars in the harsh winter or even in the winter? They are fine in wet weather also. \r\nThey are £130 per corner. I\'ve got the 225 T1Rs on my MB and haven\'t had any problems at all with them fouling the arches etc, even four-up. They look good too. Try Bill Smith , church road garage , baschurch , shropshire 01939 260 702 , sure he may be able to help. Bit of a big hurdle though isn\'t it, no tyres. The Lotus Excel boys are in exactly the same boat as us. yes - the T1R is not available. I know there\'s snobbery regards tyres, I\'m guilty of it .........but after looking for tyres I came across Nankang, haven\'t bought yet but will consider. \r\nNone of your 215\'s but they do a 225? \r\n	1985 WR quattro, 1985 20vT RallyRep, 1993 MTM ABY S2 Avant. \nThe S6 estate came with them and boy were they rubbish!! Put a set of new Goodyear Assymetric 2\'s on and the difference night and day. \nIt\'s not about snobbery where do you get that from? \nIt\'s about common sense and is it sensible to buy a highly tuned beautifully built car and then put tyres on it fit for a put put! No need to apologise Jimbo, if it\'s true as you and i and others know, it needs to be said! On the contrary. I\'d like to see this information and knowledge, and even presented in a demistified form. \r\nI can\'t recall the tyre make, now. But I drove a car some years back on relatively fresh Chinese budget tyres. It was remarkably bad, and goes some way to explain how people get themselves into bother. \r\nMy brother is one of those people who believes he\'s gods gift to driving, and he hasn\'t a clue when he\'s approaching the limit of adhesion. Mostly, though, he\'s saved by road congestion and good rubber. \r\nThe tyres on the above mentioned vehicle (which was a quattro model) started to feel vague at some fairly low speeds, and in the wet were just lethal. How they managed to get approved for sale is beyond me. Michelin tb15 are legal i think, tarmac rally tyres but do look very odd.. I am very pleased to read your views on tyres. I have always subsribed to the view that not all tyres are the same. But it is difficult to know which brand/tyre to choose. Whilst on balance I accept that a more expensive brand will be better than a cheap brand, the most expensive tyre is not necessarily the best. You only find out after you have made your purchase. I am not sure how much the simple scores for wet grip, noise and economy are? - Some surprising scores to be seen there! \r\nYou refer to training and cutting open tyres. Any in-depth knowlege you have would be welcome here. When I bought the S2 it had BFGoodrich on it, we are talking 2002.. After we had it fettled properly, I left Tangmere roundabout in the damp one morning in a ding-dong with something or other and it span up all 4 in second, not to be defeated, I changed up and gunned up into the MTM bit in third, it just span up again... 50 mph in 3rd, wide open throttle..... Wheel spin at that point, sort of took the pi$$ on a damp dual carriageway in the springtime for a quattro.. T1R\'s completely irradiated all the issues... 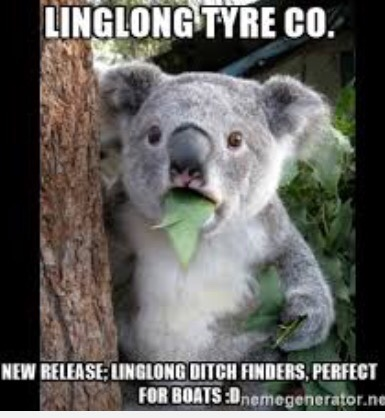 But tyre technology has massively moved on for modern tyres.... It\'s a shame someone isn\'t brave enough to put their technology where their mouth is and deliver a modern compound, grippy, mixed condition, general road use tyre to the average Lotas Esprit and Ur quattro owner. 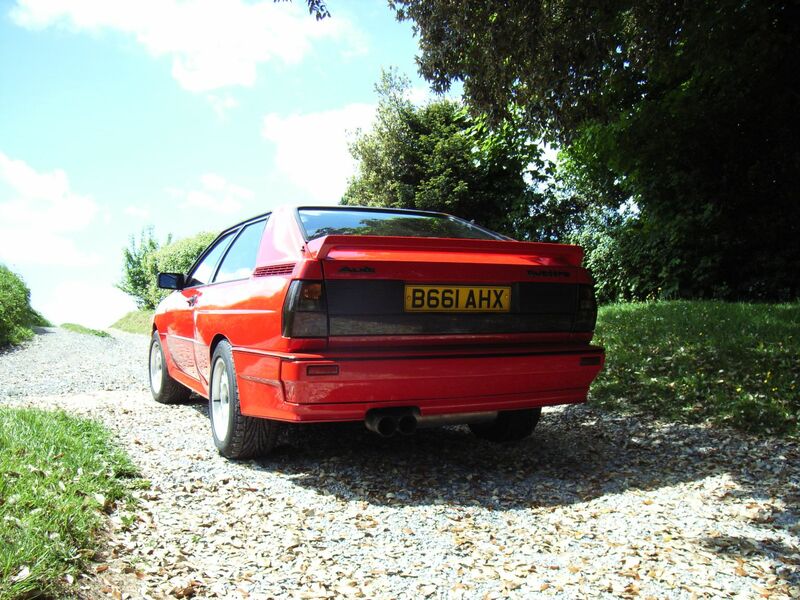 It\'s a ahame someone isn\'t brave enough to put their technology where their mouth is and deliver a modern compound, grippy, mixed condition, general road use tyre to the average Lotas Esprit and Ur quattro owner. \r\nAgreed,especially where there is no shortage of Classic Jaguar tyres being available. \nAgreed,especially where there is no shortage of Classic Jaguar tyres being available. \nTyre manufactures & the vehicle manufacturers are pushing the market away from 16"" now. Most of the new development is in 17"" + sizes. My wife\'s Beatle came with 18"" wheels as standard its crazy. I wish the tyre company\'s would put more R&D development in to the smaller sizes the results could be amazing! Tyre manufactures & the vehicle manufacturers are pushing the market away from 16"" now. Most of the new development is in 17"" + sizes. My wife\'s Beatle came with 18"" wheels as standard its crazy. I wish the tyre company\'s would put more R&D development in to the smaller sizes the results could be amazing! \r\nI Like that! Especially the Koala bear. \nYou refer to training and cutting open tyres. Any in-depth knowlege you have would be welcome here. \nI totally agree tyre choice is a deeply personal thing and incredibly subjective. Made increasingly hard by the tyre labelling. The test criteria for the labelling varies massively. A good example of this is as follows. The wet breaking test for Summer tyres. This can be conducted by a manufacturer in a temperature range from 40 - 15 degrees centigrade. Some manufacturers will opt to test in Hot conditions others will test in more temperate conditions, this will then make it impossible for a consumer to determine how good or bad different tyre really is as you don\'t know what temperatures the tyres where tested in originally to draw a scientific comparison. On the whole the premium manufacturers tend to test around the average European summer temperature of 20 degrees. In short it\'s a mine field. \nThe only further advice I would give is buy the best brand that you can afford, the contact patch of a tyre is about the size of your hand and your going to transmit all your acceleration, braking & steering inputs in to 4 relatively small patches. So where possible try and avoid ditch finders and part worn tyres are the worst. \nAnd that\'s me back off the soapbox. \nIt\'s been great to converse with such a great bunch of Audi owners. Have a fab weekend everyone. I still think the Goodyear Assymmetric 2 are a fantastic tyre,and impossible to beat at the price for such quality.Used them on the 2015 Tour in the S6 so 255/40 17\'s. A baptism of fire for sure them northerners are crazy, trying to keep up with the others in the pouring rain whilst doing silly speeds on twisty mountain/valley back roads some of it single track.But clenching stuff for me to start of with but not once did i loose grip or did it feel as if it was about to go in the pouring rain that Saturday morning. They\'re also superb on the dry. \nI just bought a set of them for the Audi A2................ 205/40 17 £66 inc vat plus £3 delivery per tyre from Camskill. Will be free to fit as the A2 sports wheels are getting refurbed. To me thats cheap for a top quality tyre and not that more than cheap rubbish out there.Another example,i\'m Looking at a set of Asymmetric 2\'s again for the 18" D2 avus wheels. so 255/35 18 at Camskil. £116 each inc vat plus £14 delivery.Again free fitting when the wheels are refurbed.Not a bad price in my opinion. \nHi Jimbo,i\'ve just been looking for 16" tyres and i\'m struggling to get the sizes i want using the Goodyear Asymmetric 2\'s. I\'m looking for 225/50 16 to go on a set of fuch 16" 8J S4 C4 alloys. I\'m also struggling to get asymmetric 2\'s for those wheels i posted on your thread the other day the 16" cabriolet 7 spokes.Factory they\'re 205/55/16.I can get close to those sizes but really want the exact size as Audi specified in the brochures. Can you help? Or suggest an alternative tyre thats at least as good as the Assy 2\'s? Thanks in advance. Just looking at blackcircle.com and typed in 225/50 16 and can see i quite like the Continental sport contact it being a Porsche fitment tyre. It\'s a N2 rating. Just gone onto Camskill and it\'s cheaper there and they\'re offering 2 types. An N1 or an N2. Whats the difference between the 2? \r\nI would have thought the continental sport contact would rate as good as the Asmmetric 2\'s, but it doesn\'t quite being B for wet and F for fuel economy and 71db N2 rating. Assy 2,(225/55 16) 5mm higher profile being A for wet C for economy and 69db. It\'s a little confusing but i guess the N rated tyre is more sports orientated in the dry?....... but not quite as good as the assymetric 2\'s tyre in the wet? Would that be a reasonable guess? \nTyre labelling is a bloody nightmare, And your quite right there is no rating for dry grip. But rest assured being Porsche rated they will be pretty good! They might not be the longest lasting. However there has to be a trade off somewhere. Porsche numbers work like this. \ndon\'t go thinking a N3 is better than a N0, the N0 could be a brand new tyre! \nI love the blackcircle website as it\'s easy to use. 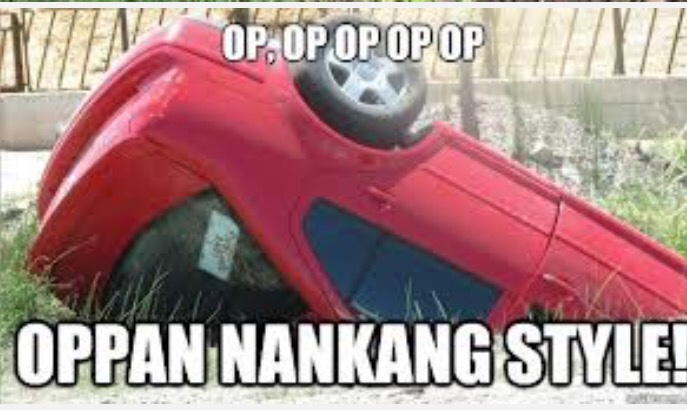 \nHope its been a help. \r\nThanks for your help James much appreciated! Just wondered if you bought the Toyo\'s and how they were? Ordered the same as alternatives were expensive Pirelli\'s or Nankang\'s which everyone says not to touch.